If you are planning to buy a new Smartphone and has ended up in a state of confusion then Lenovo K6 Power is the answer to all your questions. The Brand new Lenovo K6 Power is exclusively available on Flipkart. The mobile phone packs all the premium features available on the market presently and that too at an affordable price. 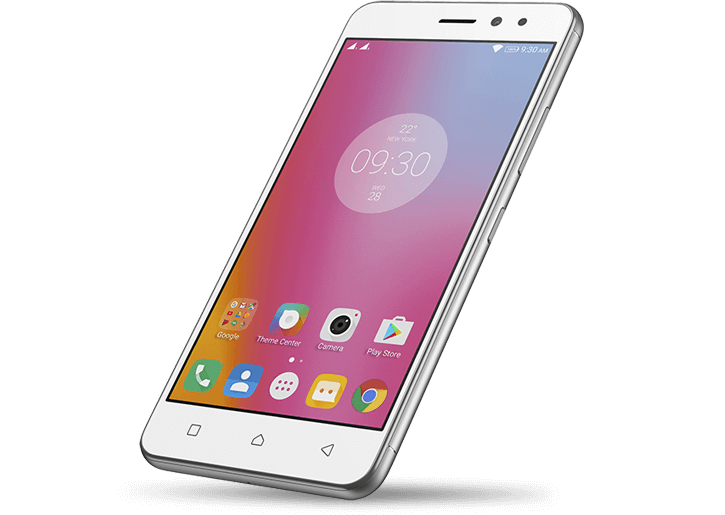 Lenovo K6 Power Flipkart price is Rs 9,999. This handset is a solid competitor in the mid-range mobile segment. The Lenovo K series is already very popular in the Indian market. Earlier launched Lenovo K5 Note was sold in huge numbers. Also another Handset in K series- Lenovo K6 Note is also much waited. The handset features a full metallic design crafted to provide an elegant look and better grip in hand. The 5-inch screen packs a display resolution of 1080×1920 pixels. The back sports a fingerprint sensor which enhances the usability of this device. Also, the camera module present on the back panel bears a 13-megapixel with autofocus. The 8MP front camera works pretty efficiently to produce a quality selfie picture. Under the hood, the handset is powered by Snapdragon 430 octa-core processor. To offer the best gaming experience it has been incorporated with Adreno 505GPU. Coupled with this is 3GB of RAM making your multitasking seamless. The internal storage capacity is fixed at 32 GB. Another variant of Lenovo K6 Power Flipkart is available with 2GB RAM and 16GB onboard storage space. The Smartphone bears all the latest connectivity features like WiFi, Bluetooth 4.0, GPS and dual SIM card slot. The handset bears a huge 4000 mAh battery which will support you through the day without the need of charging in between the day. To get this fabulous handset click on the link below and visit our other articles for more amazing mobile phones. You will also find latest Flipkart promo code and deals using which a huge discount can be got on electronics products.